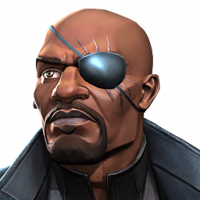 If they use Kabams version of carnage, the movie will be 30 seconds long. 45 seconds if his duped. Only if Venom is sleeping and doesn't retaliate. 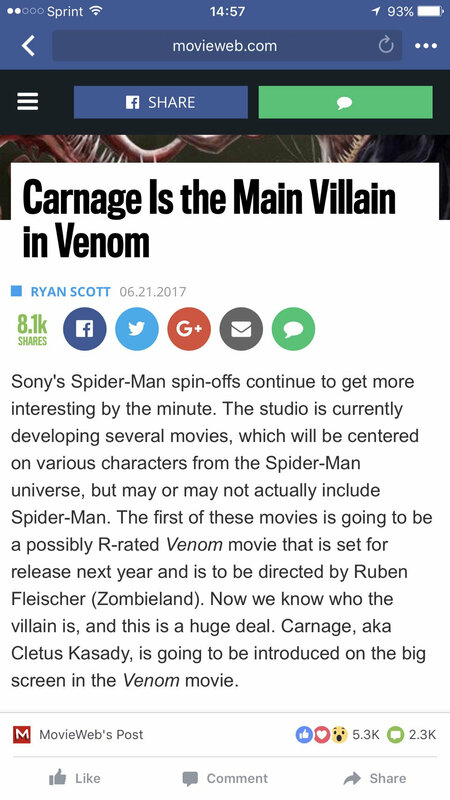 he wasn't announced as the villain he is just going to be in the movie i don't see carnage being the villain unless they bring spiderman into the mix cuz we all know venom can't take carnage alone. The joke was stupid and pathetic. Community has turned into a bunch of sarcastic cry babies. Being sarcastic is fun. Why not? Lighten up, at the moment I see you being a pathetic crybaby about a bit of joking. Since this discussion is simply non-constructive aimed at picking on Carnage in the game I'm closing it down. The forum rules are located by clicking here.